On July 30, the Republic of Zimbabwe held its presidential elections. The turnout of the Zimbabwean population was, as a Zanu-PF party outlet, The Herald, reported, summarizing the announcement of the Zimbabwe Electoral Commission (ZEC), an average of 75%. Clearly, Zimbabweans wanted to express their voice, even though, officially, a small percentage were “turned away for reasons such as not having valid identity cards, defaced identity cards and not appearing on the voters’ roll.” The Zimbabwean bourgeoisie lauded the elections, with the Confederation of Zimbabwe Industries (CZI) saying they were happy with how the elections were conducted and wanted them credible so “the re-engagement that we have with the rest of the world continues” as the CZI president, Sifelani Jabangwe declared. Additionally, the CEO Africa round table also praised the elections, saying they significantly boost confidence. In some ways, much has changed since I last wrote about Zimbabwe. 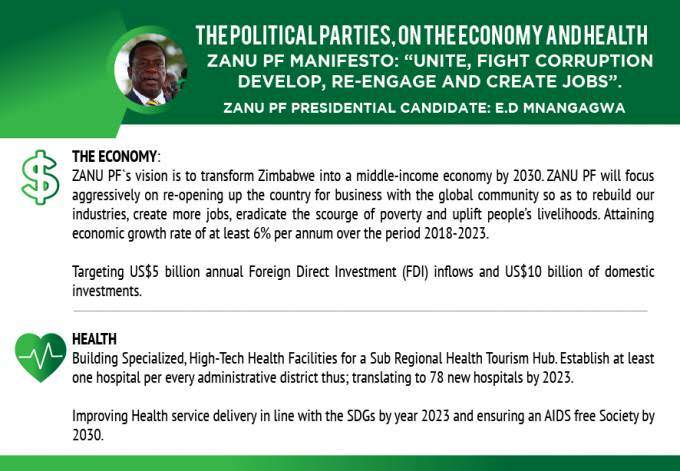 In this election there are two contending parties: the Zanu-PF, a party which has led the country since Zimbabwe’s independence from British rule in 1980 and the MDC (Movement for Democratic Change), long the favorite of Western imperialists, with the biggest faction in this recently formed alliance (formed last year) being the MDC-T or Movement for Democratic Change-Tsvangirai. The bourgeois media in the imperial core uniformly side with the MDC’s concerns about an “unfair” election, which has been watched by all sorts of election observers from the imperial core, especially their claims of Zanu-PF “rigging” or that the MDC magically won the presidential election, while not siding with the Zanu-PF’s claim that the MDC is inciting violence. Additionally, there have been ruminations that “the military would have a strong influence over the way people voted” in the country, as declared by one think tank. Regardless, Zimbabweans voted in over 10,000 polling stations for 210 parliament members and over 9,000 councilors, with over 20 presidential candidates, with results from these votes announced on August 2. The results were originally to be released on August 4 but complaints by the MDC pushed it to August 2. The bourgeois media also claim that the vote may be close between the top two presidential contenders, since a candidate needs more than 50% of the vote to win outright, leading to the possibility of a run-off election on September 8. 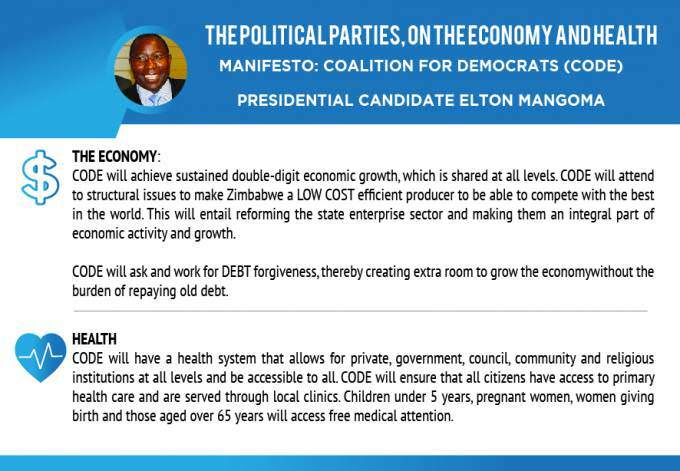 Since the coup in November 2017, it is clear that either Zanu-PF or MDC victory will benefit the hungry Western bourgeoisie while hurting the Zimbabwean proletariat. 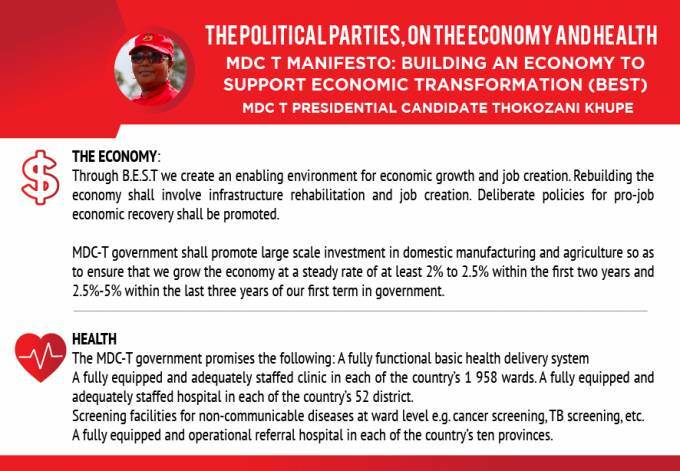 The MDC-T is a predecessor of the original MDC formed by the late Morgan Tsvangirai in September 1999 and has been backed by Western money ever since, only winning decisively in elections in 2008, leading to a short-lived shared government between the MDC and Zanu-PF until 2009. As for the Zanu-PF, its imperialist faction is currently in power, with those who were a group of dedicated Zimbabwean nationalists who positioned themselves as anti-imperialist purged out of the party or abandoning the party all together, with huge walkouts from Mnangagwa’s rallies and the National Patriotic Front (NPF) going on stage with Chamisa. At the same time, Mugabe, in a surprise press conference on July 29, said he would not support the Zanu-PF, the ones whom he described as tormenting him, feeling that Chamisa of the MDC-T was the only choice to remove what he described as a military government, bringing the country “back to constitutionality,” an assessment which could influence Zimbabweans in their election. This was not a direct endorsement but rather Mugabe felt that Mnangagwa could only be defeated by Chamisa, who he likely voted for and having a “realistic chance of winning,” to use a quote from Bloomberg, while embracing the existing process, not making some secret deal as Mnangagwa declared with venom on his lips for Mugabe and all he stood for. Having a party stalwart like Mugabe abandon the Zanu-PF, angering The Herald (which spread lies about Mugabe supporter Jonathan Moyo by saying he had “dumped” Mugabe) of course, is a big deal which could change the results of the election. Mugabe also talked about varied other topics, like the fact that he was deposed in a military coup, that his wife Grace should be left alone by the media, and telling the history of the Blue House in Harare where he is living, noting it was built by Yugoslavians, originally supposed to be in the Chinese style to honor the Chinese support in the liberation struggle but this did not happen, leading to a weak form of construction. Regardless of who wins, it is clear that the economy is in turmoil in part from mismanagement by the Zimbabwean national bourgeoisie, but mainly from Western sanctions targeting the country’s economy after an effort to redistribute the country’s White-owned farms to the Black masses, angering Western capitalists without end! Clearly, the West will allow political change if it benefits Western capitalists, with the Zanu-PF and MDC having pro-imperialist positions meaning that these capitalists win no matter what. While Robert Mugabe and his supporters in the Zanu-PF had their problems, they were a clear firewall against Western imperialism in Zimbabwe, which was even noted by a hostile South African broadcaster, SABC, back in the day. Now, that firewall is gone, and the country is open to imperialist viruses. As such, no matter who wins, the Zimbabwean proletariat are losers and while new economic structures, not by the unfortunately useless Zimbabwean Communist Party should be created they should built on the Zanu-PF’s work so far while directly challenging and obliterating the nationalist Zimbabwean bourgeoisie. Looking forward, while looking back at the past, it is much more productive to be critical without accepting the imperialist narrative of Zimbabwe wholesale as some on the Left have done to the peril of the global proletariat. As such, it is important to point out that the murderous empire wants capitalism without question. This was expressed by Mike Pompeo on July 30 of this year, declaring in a speech about new imperial policy in the Indo-Pacific to the U$ Chamber of Commerce’s Indo-Pacific Business Forum: “the U.S. Government doesn’t tell American companies what to do. But we help build environments that foster good, productive capitalism. We help American firms succeed so that local communities can flourish, and bilateral partnerships can grow.” Additionally, one should consider what Michael Parenti wrote back in 2014, that not only do we not “really know how very rich the very rich really are” but we also “don’t really know how poor the very poor really are” with the poorest 50 percent having vastly more than the “accumulated wealth of the world’s poorest 50 percent” with many of those having “next to nothing.” As Danny Haiphong, favorable to Chinese revisionism, even recently wrote, “the US ruling class privately owns the most ruthless form of imperialism to date. For the last forty years, the concentration of wealth and profit in the hands of ever fewer numbers of capitalists has been achieved through an all-out assault on the concessions won by workers and oppressed people over the last century.” This is bound to be expanded to the Zimbabwean proletariat without question with expanded neoliberal destruction. There is another aspect worth noting: conflict between Chinese and U$ capitalists. Zimbabwe has taken a “look east” policy, meaning they have favored China over the U$, especially since the 1990s, with good relations with China since 1980. This was due to the fact that during the liberation struggle against the British colonialists and their White settler descendants. 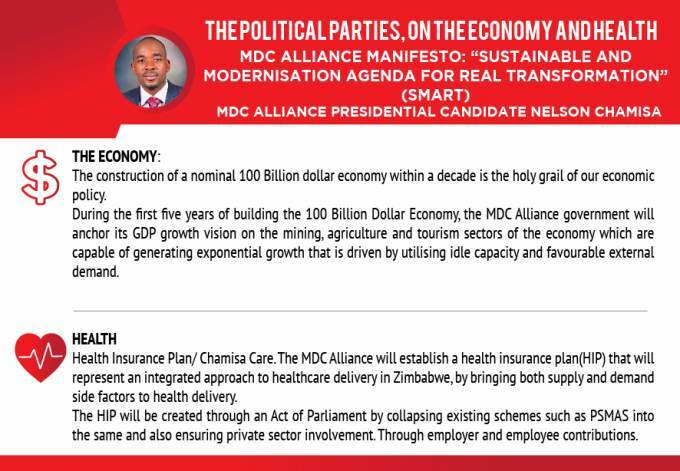 Whther Mnangagwa or Chamisa wins, the country could easily shift toward the orbit of U$ capitalists, but likely more in the case of Chamisa than Mnangagwa, who would try to balance the capitalists from each country. This is important because Xi Jinping of China recently went on a tour of Africa, pledging to defend the “multilateral free trading system,” cemented in the IMF, World Bank, and WTO, while also trying to expand Chinese investments and “infrastructure loans.” After all, they were fine with the horrid TPP (and its successor, the CPTPP), wanting more integration of the global capitalist system! While this story is a developing one, with the reality clear on August 2 and the days afterward, it is clear that not only are hard times ahead for the Zimbabwean proletariat but this election will be said to be a turning point for Zimbabwe as a whole, without question. Christopher Torchia and Farai Mutsaka, “Zimbabwe says election is clean; opposition is skeptical,” AP, Jul 31, 2018; “Zimbabwe’s MDC Alliance says Chamisa beat Mnangagwa,” BBC News, Jul 31, 2018; Mel Frykberg, “Military may have made impact on Zimbabwe elections – legal think-tank,” African News Agency, Jul 31, 2018; Tom Embury-Dennis and Harry Cockburn, “Zimbabwe election LIVE: Two main parties claim lead amid accusations of ‘deliberate delays’ in first vote since ousting of Robert Mugabe,” The Independent, Jul 31, 2018; MacDonald Dzirutwe and Joe Brock, “Zimbabwe opposition accuses commission of delaying poll results,” Reuters, Jul 31, 2018; Susan Njanji and Fanuel Jongwe, “Tension mounts as Zimbabwe opposition claims election victory,” AFP, Jul 31, 2018; Christopher Torchia and Farai Mutsaka, “Zimbabwe polls close, counting begins in pivotal election,” AP, Jul 30, 2018; “Zimbabwe Election in Some Cases ‘Totally Disorganized’: EU,” Reuters, Jul 30, 2018; Hamza Mohamed, “Zimbabwe elections: Voters cast ballots in landmark polls,” Al Jazeera, Jul 30, 2018; Jason Burke, “Zimbabwe opposition leader: ‘We will have a new president … it will be me’,” The Guardian, Jul 27, 2018; “Zimbabwe opposition accuses commission of delaying poll results,” Reuters, July 31, 2018; “Factbox: Zimbabwe’s voting system,” Reuters, Jul 31, 2018; “Zimbabwe presidential election results expected from Thursday: electoral commission,” Reuters, Aug 1, 2018. “Zimbabwe: Scores Abandon ED Rally,” The Standard, July 29, 2018; “UPDATE 3-Zimbabwe’s Mugabe backs opposition on eve of election,” Reuters, July 29, 2018; Kim Sengupta, “Zimbabwe election campaign takes dramatic turn as Mugabe turns against his own party,” Yahoo! News, July 29, 2018; Farai Mutsaka, “Zimbabwe’s Mugabe emerges, rejects ruling party in election,” AP, July 29, 2018; Brian Latham, “Here Are the Leading Candidates in Zimbabwe’s Historic Presidential Race,” Bloomberg, July 24, 2018. Everson Mushava, “Chamisa, ED in final showdown,” NewsDay, Aug 2018; Sisipho Skweyiya, “Zimbabwe’s jobless generation hopes election will mark a change,” July 2018; Fanuel Jongwe, “Tension mounts as Zimbabwe opposition claims election victory,” AFP, Jul 31, 2018; Jason Burke, “Zimbabwe opposition leader: ‘We will have a new president … it will be me’,” The Guardian, Jul 27, 2018; “Violence in Zimbabwe after ruling ZANU-PF announced as winner of election,” AP, Aug 1, 2018; “Zimbabwe’s Mnangagwa says Harare violence meant to disrupt election,” Reuters, Aug 1, 2018; Christopher Torchia and Farai Mutsaka, “Riots shake Zimbabwean capital as election results delayed,” AP, Aug 1, 2018; “Zimbabwe police requested army help to quell post-election protests: spokeswoman,” Reuters, Aug 1, 2018; MacDonald Dzirutwe and Joe Brock, “Three killed as Zimbabwe troops, protesters clash after vote,” Reuters, Aug 1, 2018; “Zimbabwe ruling party has two-thirds majority in parliament: official results,” Reuters, Aug 1, 2018; “Zimbabwe’s ruling party wins most seats in parliament. But was election fair?,” AFP, Aug 1, 2018; David B. Moore, “Zimbabwe is getting ready for a very close election and a test of its democratic future,” Quartz, July 24, 2018. “CORRECTED-Zimbabwe group preparing election court action, opposition says,” Reuters, July 31, 2018.